The Rails to Love Collection Release Party...and a Giveaway! All Aboard The Rails to Love Collection, featuring Inkwell's own Susanne Dietze! 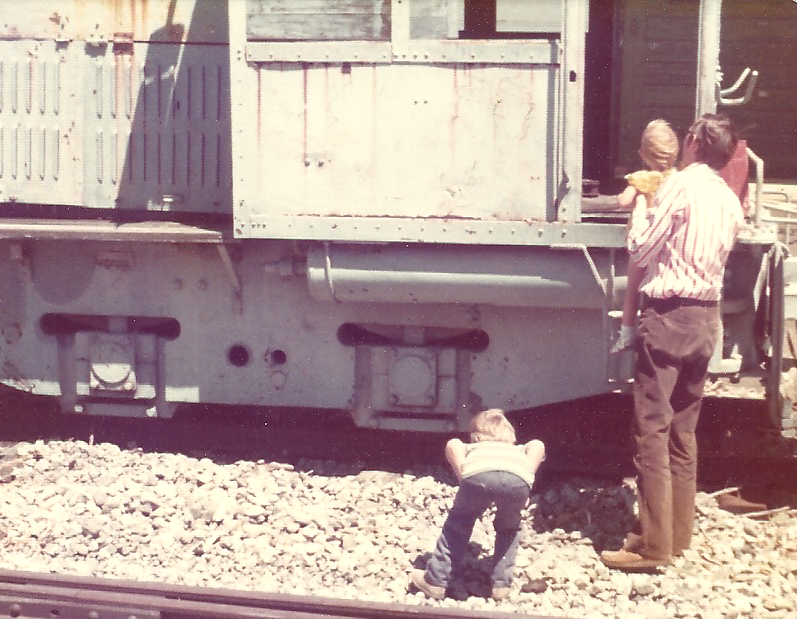 Here's Susanne, held by her rail-fan dad, with her brother, investigating a train way back in the 1970s. Trains have been a part of her life since infancy, so it's pretty sweet to be in a collection of train stories! Care for some background noise that is sure to get you in the mood? Click play and then scroll on down. Now on to the book! Climb aboard and have a seat. Feel free to curl up with a good book or enjoy the passing scenery. Our porter is Dr. Quinn Medicine Woman's own Sully, who looks suspiciously like Nash, the hero of Susanne's novella. Welcome aboard. May I offer you a cup of punch? How about some dessert? Can a jilted bride and a mysterious frontiersman thrown together on a trip meant for honeymooners solve a crime--and find love--before the end of the line? Heroine Ellen needs a fresh start. Sully was blue in the railcar on Dr. Quinn. 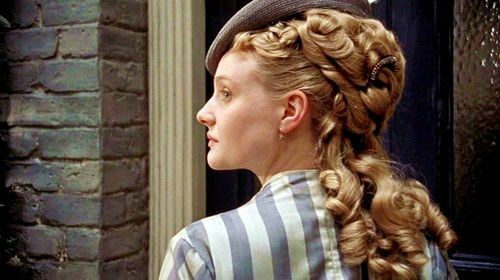 when he wondered whether or not Michaela loved him. I wonder if Nash feels the same way as he struggles with his feelings for Ellen and his decision to never love again in Susanne's story. If you'd like to win a copy of The Rails to Love Collection, please enter using the Rafflecopter below. Void where prohibited. Contest lasts until 11:59 pm EDT Sept 24, so don't delay! PSST....The Rails to Love Collection is available from your favorite Christian retailer, and is priced at $7.49 on Amazon...that's half price! You can't beat that! Click here! 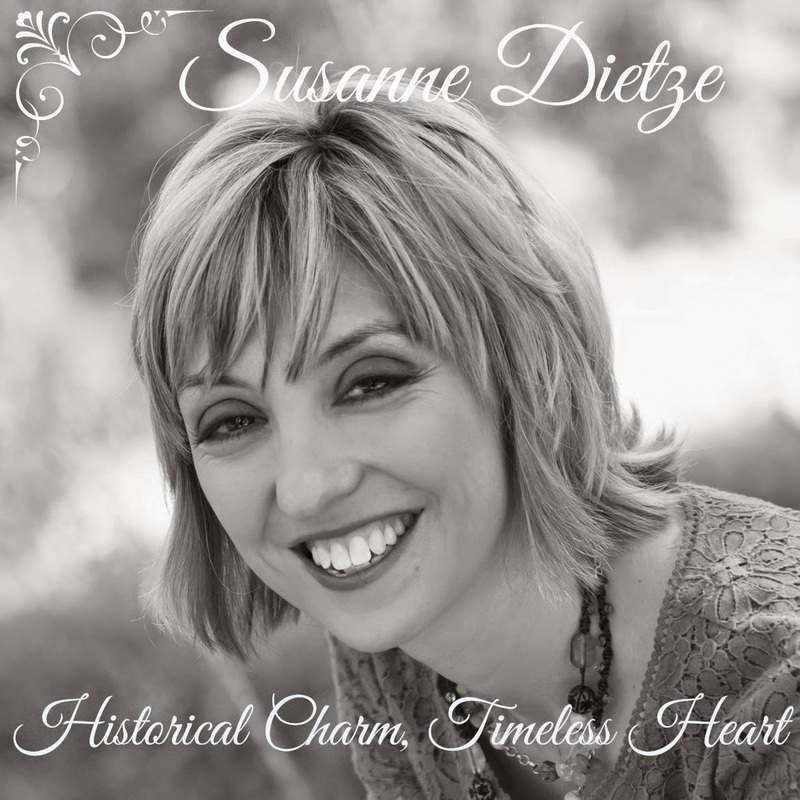 Susanne Dietze is the proud daughter of a railfan and the author of almost a dozen historical romances. You can learn more about Susanne (but not her dad) on her website, www.susannedietze.com. 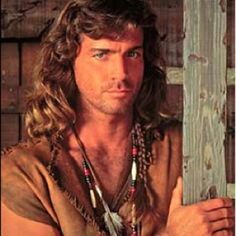 I love frontiersmen in stories! The rugged, able-to-survive-and-thrive-in-the-wilderness really appeals to me! Hi Heidi! Those types of heroes are appealing, aren't they? Knowledgeable, brave, and wise. I say this as someone who isn't a big camper, LOL! I'm so glad you were able to come by. That photo of Sully (er..Nash) should sell many books just based on how wonderful it is! I loved your Honeymoon Express story, Susie! Congratulations on the upcoming release! Yes, it was hard to choose just a few pictures of Sully (er...Nash). Enjoy the strawberry cakes! I wish they weren't virtual. I could use one right now with my tea. Fun! I especially liked the sound effects. Congratulations, Susie. Love the choice for Nash. Congrats! Looking forward to reading this book. I'm glad you like Nash! I confess I loved that show back in its day, and I discovered it in reruns on the Insp channel. It got me through a surgery recovery! Looks like this one's on track to be a fun read....haha! Great joke, Trixi! So glad you could come by. I hope you enjoy the story! Aren't the train sounds fun? I'm glad you enjoy them! Thanks so much, Anita! Fun, fun, fun! I can't wait to read this collection, Susie! Jen, I hope you enjoy it! I had read a few of the stories before publication, but now I'm reading the others and they are so much fun! I totally agree with you, Cindi! Old trains are indeed romantic, charming, and fun. How neat to have a railroad engineer in the family, too! What a fascinating job. So glad you could come by! We love riding the Cass Scenic Railroad. TY for the chance to win. Ooh, sounds fun! I'm not familiar with the Cass Scenic Railroad, but I enjoy riding the rails whenever I have the opportunity. Thanks for coming by, Lucy! I don't know what it is about trains, but they are so romantic and fascinating! I can't wait to read all of the stories that revolve around such a vital part of our American history! Hi Karen! I love trains, too. They are indeed romantic and fascinating--although my latest Amtrak ride was not remotely romantic, LOL. But it was indeed fun. Susie, these photos are AMAZING! I've never ridden on a train. It would be a fun experience! Oh Caryl, you have to try to ride a train sometime. It's an amazing experience! Last summer we rode the train to the Grand Canyon Train. 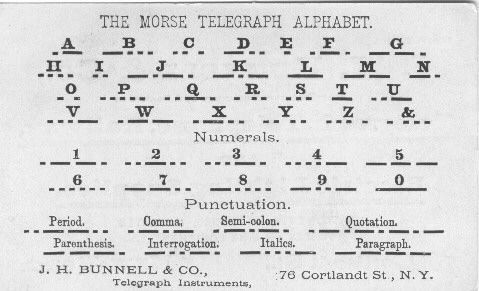 What a delight that was for the whole family. So glad you could visit! Wow I love seeing these old-fashioned trains! Such nice pictures. Thank you for the giveaway! I'm glad you enjoy the pictures! The train interior shots are sure gorgeous, aren't they? Who wouldn't want to eat in that dining car?! Congratulations on your latest release, Susanne! I'm eager to read "The Honeymoon Express" and the other stories in this collection! Thanks, Britney! I hope you enjoy the stories! The other authors are all amazing. I'm so glad you could come by!